Charles N’Zogbia will be given another chance to impress against Montpellier HSC tomorrow – as Sunderland boss David Moyes weighs up whether to offer him a deal or not. 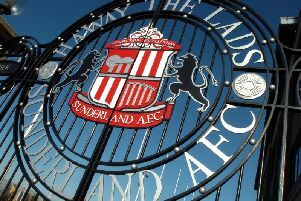 Free agent N’Zogbia has been on trial at Sunderland since the first day of pre-season, after an offer from ex-boss Sam Allardyce to train with the squad. Moyes and new chief executive Martin Bain have been working around the clock in France as they look to add the quality signings needed to improve the squad. The only new face at the Stadium of Light has been N’Zogbia, although other areas remain the priority with a new right-back, centre-back and striker needed. West Ham striker Diafra Sakho remains a target, despite Allardyce moving on to England. The striker, subject of a failed £11million transfer bid by Sunderland back in June, handed in a transfer request earlier this month. N’Zogbia, meanwhile, featured in the friendly wins against Hartlepool United, Rotherham United, Stade Nyonnais and Dijon, with mixed performances. The 30-year-old was anonymous at Victoria Park against Pools, but he scored and provided an assist at Rotherham, in front of the watching Moyes. Moyes is yet to name him in a starting line-up though, with N’Zogbia twice coming off the bench in the games he has taken charge of in France and produced unconvincing displays. But it is understood that the former Newcastle United midfielder is expected to get a longer run-out against Montpellier HSC tomorrow, with Moyes keen to have an extended look. The game will be played at the Stade Jacques Forestier in Aix-les-Bains (5pm kick-off). N’Zogbia made just two appearances for relegated Aston Villa last season as he wound down the final months of his estimated £50,000-a-week wages at Villa Park. Sunderland attempted to sign N’Zogbia prior to his move to Villa, but then Black Cats boss Steve Bruce was unable to strike a deal in the summer of 2011. Meanwhile, it is understood that Moyes will not be making any radical changes to his backroom staff at Sunderland. First-team coach Robbie Stockdale and assistant manager Paul Bracewell, both well respected by the players, helped Allardyce keep the club up last season. And Moyes is expected to keep faith with the backroom staff he inherited, with no immediate plans to bring in his own staff. Further additions could be made in future though. Moyes took Everton pair Steve Round and Jimmy Lumsden with him to Manchester United when he took charge three years ago, along with former England international Phil Neville. Phil’s brother, Gary, is also thought to be in contention after leaving the England set-up following the humiliating Euro 2016 exit, while Billy McKinlay has also been linked.